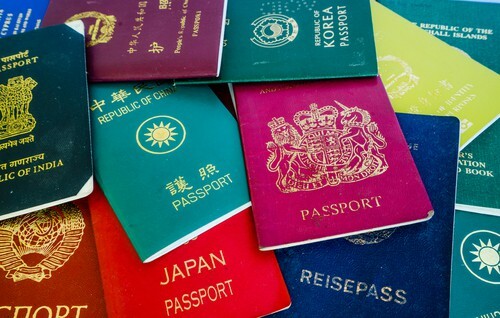 Most people don’t bother to think about the colour of their passport when they travel, but passport colours actually stand for something and each colour has its own meaning. 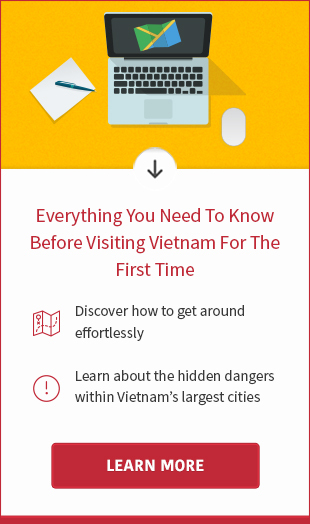 The countries can do whatever they want with the design but the colour must be chosen from one of 4 following options: red, green black, blue. Based on the country’s political and cultural preferences, as well as its geografical location, it is the States themselves which define colour of the passport’s cover. However, one colour come in different shades, so there are actually a multitude of pasport colours. Red is the most common colour for passport covers. Shades of red vary across the countries, from orange-red to the rosier red, or dark reddish purple colour a popular choice of members of the European Union (except for Croatia). Many people claim that red is in connection to a past communist history but I doubt about that. 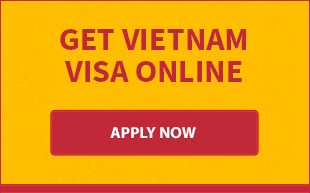 Vietnam is a communist country but its passport colour is green. 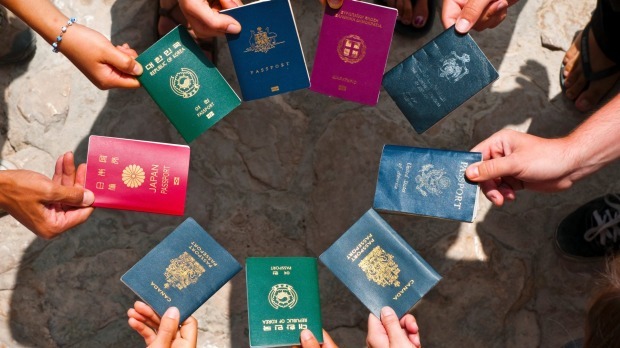 Egypt, Indonesia, Mexico, Nigeria, Zimbabwe are among the countries with green passports. For some countries, such as Morocco, Pakistan, Saudi Arabia and Burkina Faso, the colour has a religiously significant meaning because they believe that green is favorite colour of the Prophet Mohammed and is associated with paradise in the Koran. In the Muslim religion, green is a symbol of eternity. It also features prominently on the national flags of many Islamic countries, such as Afghanistan and Iran. The blue symbolizes the “new world” so the list of countries having blue pasports is long: El Salvador, United States, Canada, Costa Rica, Uruguay, Venezuela, Argentina, Brazil, Paraguay…There is huge variations of the colour based on national preference. The countries like Australia have adopted a dark shade while others, like Fiji, prefers a brigher blue. The US passport was switched from green to blue in 1976 similar to the blue on the national flag. Just a few countries adopt black for their passport. Most of them are from African countries including Congo, Angola, Zambia, Chad… Black is also colour of New Zealand passport because their national flag is black. Although the countries have freedom to design the passport, by the United Nations’ International Civil Aviation Organisation (ICAO) requires all passport booklets must be 125mm by 88mm.